Huế city has the gentle Huong River, Ngự Mountain with pine-tree withstand heavy rain and windstorm. 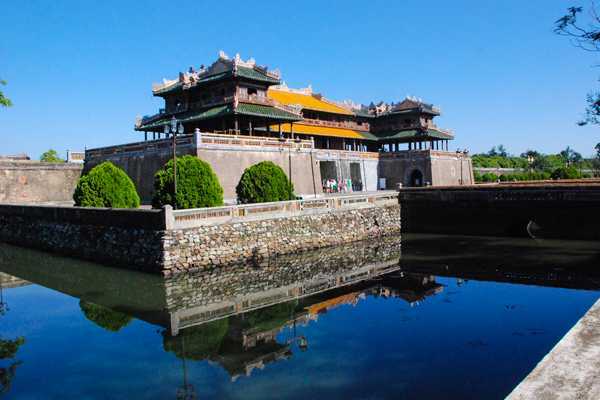 Besides, it’s also famous for the ancient citadel of our country – Huế Citadel – where witnessed how many changes of the rulership of our country, ups and downs. 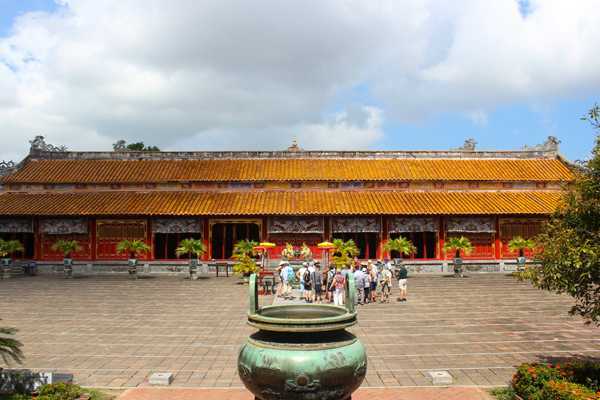 Huế tombs save thousands of monuments of the King. There has Thiên Mụ Pagoda where the bell has been ringing from thousand years ago to thousands of years later. Huế makes everyone who comes here suddenly walk slowly, talk tenderly, watch and think more ... Perfume River - quiet, tolerant, gentle - like a lady who is clean and free from the dust of the world. And the people of Huế are also gentle and open-minded. In the bright sunshine, golden as the honey of the summer, I watch the river from the steps of Thien Mu Pagoda, Perfume River has seductively beauty by the blue as the jade, by embracing the shadow of the life along the riverside. And there’s much more than those in Huế. Unluckily, I didn’t have much time to stay in Huế. I haven’t try the delicious food (royal style) and enjoy all the beauty here. But it’s not really unlucky. Maybe it’s the chance for me to return here again. Will you come with me? Share me your trip or just try with me here!